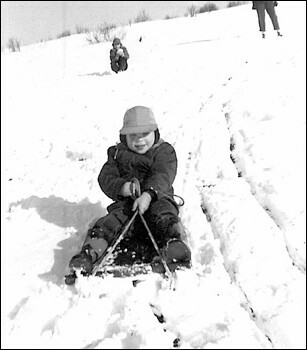 This is me sledding down a snowy slope on Mount Ashland in southern Oregon in March, 1956. I am three years old. My brother Dave is sitting on the snow behind me and my mother standing to his left. The photo was taken by my father.